Google+ Hangout is one of the best way to chill with your friend’s. With Hangout you can video chat with your friends and group. Its simple to use just Start a hangout, invite your circles, see who’s around! 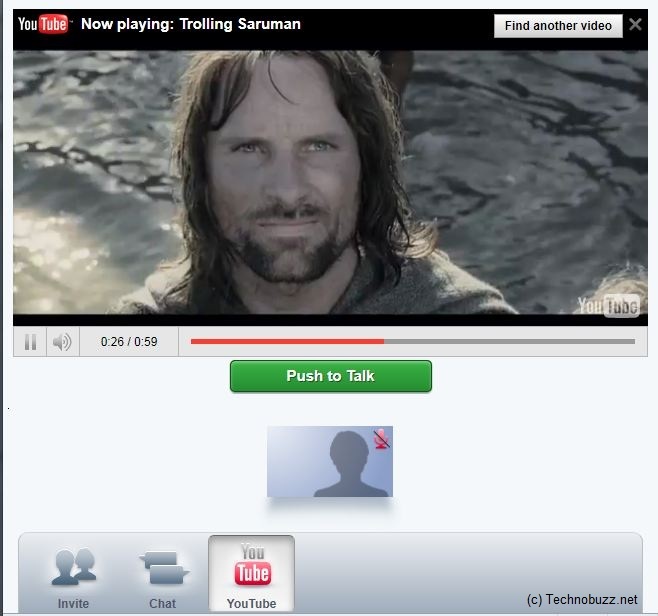 You can also use Hangout to watch a YouTube video with your friends. So that’s means everyone can watch YouTube videos together in a hangout. So here is the tutorial which help you to Watch YouTube Video With Your Friends in Google+ Hangout. 1. Click Start a Hangout from the stream. 2. Add the circles or people you want to alert that you’re hanging out. 3. Now click the YouTube Icon on Bottom left side, to start YouTube Video Sharing. 4. Now you are ready to watch your favorite YouTube with your friends, you can also search the YouTube video there. Anyone in the hangout can play, pause, or change a video. To cut down on echos, everyone is muted by default while the YouTube player is open. You can click the Push to Talk button underneath the video to talk. The volume control of the YouTube player is specific to each person. That means you can set what volumes you are comfortable with without affecting other people in the hangout. If you mute the YouTube video, the Push to Talk button will disappear and your mic will be activated. If you unmute your mic, the You Tube video will be muted. Good feature, Thanks for sharing. Yahoo! messenger also has this feature. But I have a problem. I don’t know, how to find friends in G+, who are online right now and ready for Hangout.